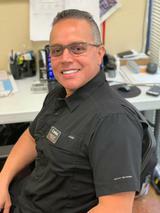 With a degree in business administration, Carlos, has focused on produce and restaurant commerce for over thirty-five years. He is an expert in business development, financial planning and customer service. He is known for being a successful entrepreneur who once owned his own bistro and currently runs a company specialized in the distribution of items from national companies to small businesses in South America. Beatriz has always been an advocate for the people. She graduated from Law School in Venezuela and then began her practice at the Civil and Commercial Superior Court in the capital. When she came to the United States, she obtained her Florida Realtor’s License and worked for a renowned real estate company in Orlando Florida. 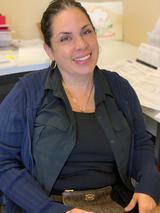 Beatriz has always loved event planning and has developed her flare for hosting and coordinating events. Carlos’ and Beatriz’s dream to come to America and run a family business is now a reality. They are committed to accomplishing Edibles Etc’s Mission to create outstanding corporate catered events by exceeding customer’s expectations, providing a Higher Standard of fresh, creative cuisine, outstanding service and beautiful presentation. As members of the Seminole County, Orlando and Hispanic Chambers of Commerce, they have been able to contribute to community and charitable events. Our delivery team is available from 6:00 a.m. to 6:00 p.m. Monday-Friday to deliver your catering order in the Orlando, Maitland, Winter Park, Lake Mary, Altamonte Springs and the Central Florida areas. Your order will be professionally set up and ready for your guests to enjoy. Evenings, weekends and Holidays are available for larger events so please inquire well in advance. Buffet attendants, full service chefs, servers and bartenders are also available as needed. Deliveries are scheduled for a 30 minute window (15 minutes for hot deliveries) at a cost of $18.50 & up varying by zip code. Pick-ups are available 8:00 a.m. to 4:00 p.m. Monday - Friday. Edibles Etc. Catering and Events relies on a talented team of professionals to create consistently delicious food and impeccable service. Our kitchen is fully staffed by highly trained culinarians. With years of experience, our Customer Service and Front of the House Specialists create a seamless and worry free experience for you and your guests from start to finish. 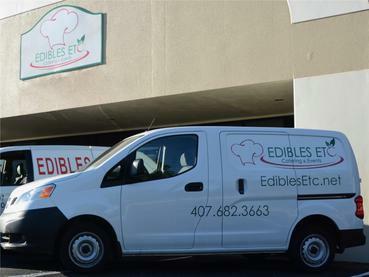 Edibles Etc.’s team members are certified by the State of Florida Department of Business Regulation for Safe Food Handling and Serve Safe Beverage Controls. Edibles Etc. is a fully licensed and insured business that encourages continuing education for our team to provide you with the most current and exciting new trends and food presentations.